Happy Friday! It’s not just any Friday…it’s National Ugly Christmas Sweater Day! Yes, this day does exist. I’m thrilled to say that I did participate in an Ugly Christmas Sweater party this year and people really brought their A game. 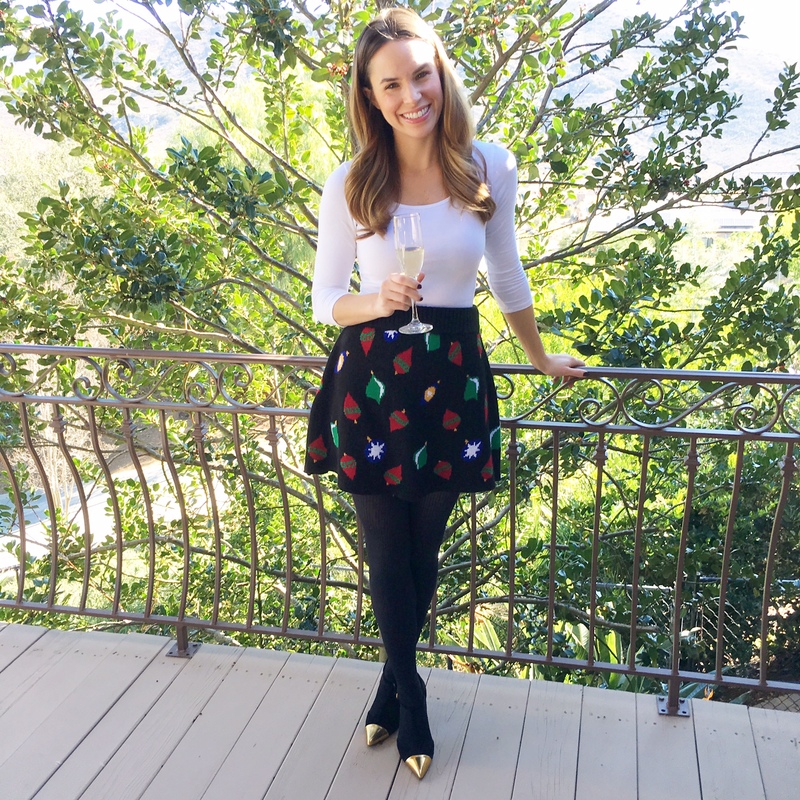 I felt that as a fashion blogger I needed to REPRESENT so I opted for what I think is a really cute skirt sweater alternative! I found it at Target (shocker) so if you need to run out and grab one for a party this weekend it should be pretty easy to find! I got this one for Austin there too. If you don’t want to go all in on the ugly factor a few of my other favorites are here, here , here and here. However…if you really want to do it right, this is the one for you. My husband (love him dearly) is the type of person who holds on to an article of clothing just in case a specific occasion pops up where he may need them. “I should keep those shoes for when we go Sailing”. We don’t Sail. Ok, we have once but it was like four years ago. The sailing shoes are still in my garage. My point here is that having a go-to Ugly Christmas Sweater is a good idea so you’re not running around the day of your party searching only to find that all of the good ones are sold out! And because unlike boat shoes, you’ll probably wear it annually. Get one now, store it in your Holiday bin and take it out once a year for the Season! 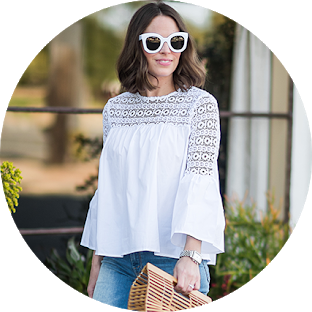 This way, it’s not cluttering up your closet but you save yourself the stress of having to find something to wear each year. 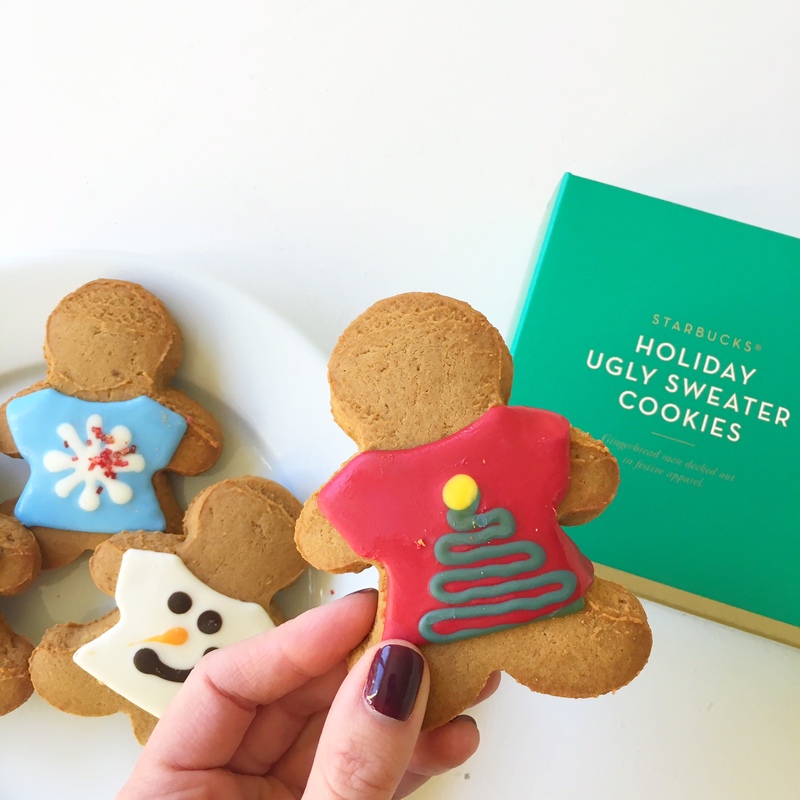 If you need to bring a hostess gift to the party, Starbucks makes Ugly Christmas Sweater Gingerbread cookies that are delicious and cute or this is a great option (on sale) for that bottle of wine! 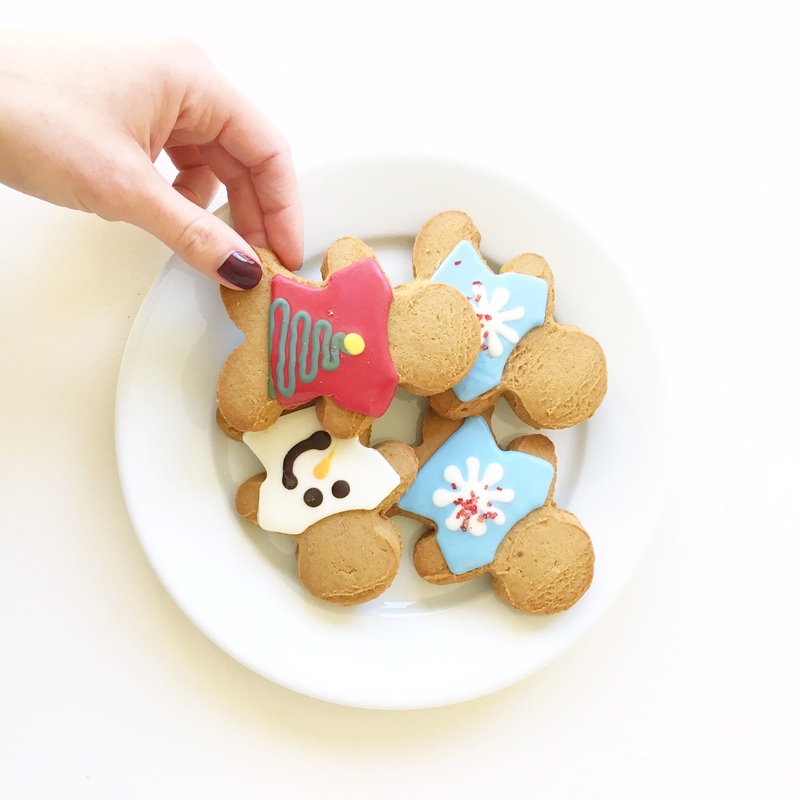 Happy Holidays and as always, thank you so much for following along!